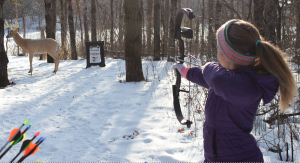 BESA makes its facilities available to a variety of outside youth groups to conduct archery programs. These youth groups apply for approval through the BESA Archery Director and/or the BESA Board of Directors. Groups are typically required to provide proof of insurance and their own certified instructors. Program Description: St. Croix JOAD (Junior Olympic Archery Development ) is a club program of USA Archery that teaches archery to young people ages 8-20, provides great opportunities for awarding achievement, and helps archers to enjoy the sport recreationally or progress to the excitement of competition!